It's always great to be in Rome for Opening Day of a film. The director and casts usually make their way through a few theaters to present it or to say a few words afterwards. Such was the case for Michele Vanucci's Il più grande grande sogno, a film I originally saw back in September via the Sala Web program of the Venice Film Festival. This year, a great selection of films were made available on this internet platform for those of us who couldn't make it there in person. I was thrilled to meet the cast and director in Rome last night, and tell them how much I adored this film. Below is my original review. Not much has changed for me the second time around, except that I realized much of the humor was lost in translation. Since I saw the film in the theater closest to the neighborhood in which it was filmed, there were family and friends of the cast members, in particular Mirko Frezza. They were laughing in parts that weren't necessarily funny with English subtitles, but with lines in dialect that only Romans could really understand and see the humor. I was also able to watch the performances more closely since I wasn't reading subtitles, and I really appreciated more the performances of Ginevra De Carolis, who played Freeze's teenage daughter in the film. Her understated expressions and idiosyncrasies made her character real and vulnerable. She gave a subtle but powerful performance. If you plan on seeing this movie, don’t read this review. The best way to see it is as I did, knowing nothing and then having your mind blown at the end with the copy that comes up. With that said, my mind was blown several times over again after I first realized this neighborhood, La Rustica, actually exists in Rome. Then, I read that the film was inspired by the true story of the lead actor Mirko Frezza. I was surprised again when I learned that La Rustica is located just about 10 minutes away from Cinecittà, not out in the sticks somewhere. 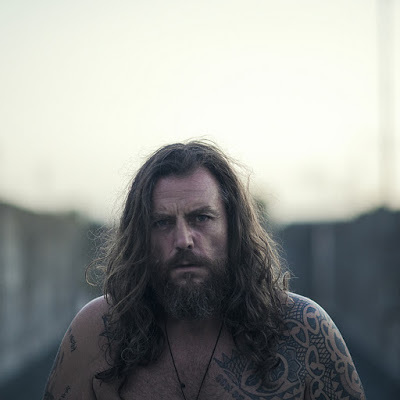 Il più grande song is the story of Mirko, an ex-con who wants to turn his life around. He grew up surrounded by drugs and crime with a father (Vittorio Viviani) who made his son an accomplice. There is a heart-wrenching scene in which Mirko pleads with his father to leave him alone and let him better himself. He says to his father, “Not one time have you ever said, good job.” His father insists that he will not be able to change- “A leopard never loses his spots.” However, in the end, it is his father who saves him from the brink of despair. The ending gave me the chills and then when I realized the film is based on a true story, it was that much more poignant. Vannucci gave us some pretty intense moments, using long-held shots to build suspense. There were also some more light-hearted scenes, which gave us the feeling that trouble was just around the corner, and in most cases, it was. All in all, the film is a feel-good story of this ex-con with a big heart trying to feed his community and improve their standard of life. Although there is conflict and temptation from other criminals and drug dealers, Mirko has a strong support system in his loving partner (Milena Mancini), stubborn but caring daughter (Ginevra De Carolis) and faithful friend played by Alessandro Borghi, who reinvents himself again for another incredible, passionate performance.